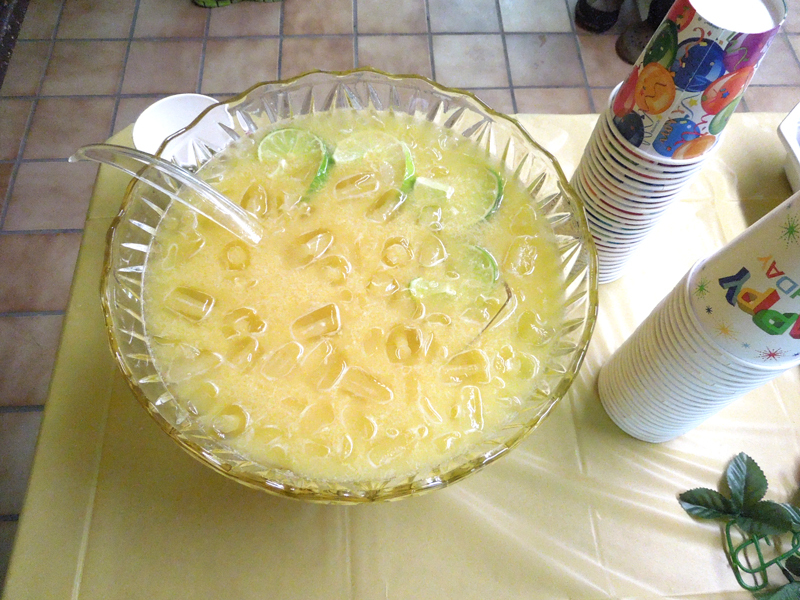 This is the punch I made for my Sister’s 80th birthday party. So easy and so good. Thaw frozen juice, combine juices and water in a large punch bowl. Add ice cubes. Pour in ginger ale carefully. Garnish with twisted lime slices.